Having healthy teeth and a bright smile is a significant priority for many people. To keep your teeth at an optimal, healthy pH level, it is essential to know what foods can lead to tooth decay and how to reduce acidity in your mouth to fight off plaque and bacteria that cause cavities. Many contributing factors to tooth decay include diet and lifestyle, which can be easily changed to promote healthier teeth and maintain a brilliant smile. Adopting new eating habits can have a considerable effect on your oral pH levels. 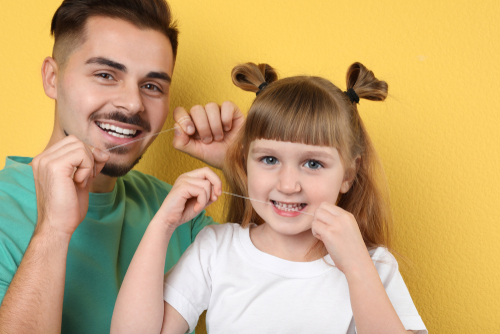 Brushing your teeth twice a day and flossing are excellent habits to achieve an ideal oral pH level, but they not usually enough to tackle all the acidity that is causing bacteria and plaque. Prevention procedures conducted in Dr. Tomazin’s office can help eliminate a significant amount of acid to help combat bacteria and other concerns that lead to tooth decay. Some behaviors should be avoided while others are healthy options that will assist in lowering acid levels in your mouth for an overall balanced pH. Between-meal snacking can expose teeth to acids that lead to damage, so limiting this habit can help reduce exposure to harmful acid levels. Cake, candy, cookies, crackers, french fries, mints, muffins, pretzels, raisins, and other dried fruits contain a lot of sugar, which increases acid levels. Eating a diet high in sugar will expose teeth to significant levels of acid. Cheese, chicken, nuts, and dairy products can protect tooth enamel due to their acid-counteracting qualities. Calcium and phosphorus found in these items also help protect teeth. Choose beans, fish, nuts, and seeds as your primary sources of protein, as they are less acidic than other protein sources. Consume a variety of vegetables (especially dark, leafy greens and orange vegetables) for a balanced pH level. Drink any coffee or sweet drinks quickly through a straw with your meal, if you are not able to remove them from your diet. Eat plenty of fruits, such as apples and pears, as part of a healthy diet. Fruits with a high water content can stimulate saliva which helps protect against tooth decay because of its antibacterial properties. Opt for whole grains (brown rice, oatmeal, whole wheat bread, etc.) over processed grains, such as white bread. It is essential to brush your teeth after every meal to remove plaque buildup and bacteria that can damage teeth. Drinking plenty of water with meals, eating any high acidity or sugary snacks with food, reducing coffee, alcohol, and soda intake, and chewing sugarless gum between meals can also help lower the level of acidity in your mouth. A healthy diet, regular exercise, and routine check-ups with your dentist can help prevent tooth decay and protect your smile from damaging acid. Your dental health is important to us, so please reach out to learn more about tooth decay prevention and your oral pH levels by filling out our online contact form today. Feeling confident about your smile is essential for everyday life. From expressing happiness to exuding a positive attitude during a job interview, your smile is often the first feature others notice. A high percentage of people are embarrassed by their smile due to having tooth gaps, chips, shape imperfections, discoloration, decay, and unsightly metal restorations. Metal is not as aesthetically pleasing as porcelain and can lead to gum recession over time. Dr. Tomazin offers porcelain crowns to patients desiring a beautiful, corrected smile. These restorations are strong, match the natural shade of your teeth, and last much longer than typical mercury crowns. Traditional crown procedures involve numbing the area around the tooth. 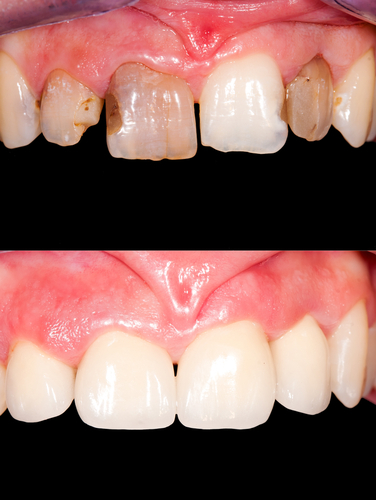 Once the anesthetic takes effect, areas of decay, cracks and deteriorating tooth structure are removed. The tooth is then modified and prepared for a crown restoration. Next, an impression of your tooth is made using a material that requires approximately five minutes to set while in your mouth. The tooth is then covered with a temporary crown that serves to protect the tooth until the final crown is created by the dental lab. While temporary crowns are provided as protection for the tooth, these temporary crowns may fall off or break during inopportune moments, leading to sensitivity or discomfort, and another dentist visit is necessary to reattach the temporary. 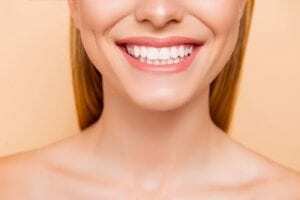 Once the final restoration is completed, you return to the dentist’s office and receive another injection for the cementation of your permanent crown. Your smile can be rejuvenated by correcting dental imperfections with a CEREC® crown or, in some cases, multiple crowns. This procedure is ideal for patients seeking to restore a healthy, dazzling smile in one visit. In addition to having many color options available to match your natural shade, Dr. Tomazin also offers same-day crowns with CEREC®, the latest in dental technology, which allows dentists to create and place custom-designed crowns in a more timely and efficient way. Dental crowns are designed in-office and then gently fitted around the entire tooth on the same day. Through this process, the tooth is reinforced and protected from further damage or decay, and there is no need to wear a temporary crown while the final crown is being created. Typical CEREC® procedures involve receiving a numbing injection, and the tooth is prepared similarly to the traditional method. A digital 3D image is taken of your tooth rather than a messy, uncomfortable molded impression. The digital impression is transferred to a computer, and Dr. Tomazin utilizes a computer-aided design (CAD) program to design your custom tooth restoration. Upon completion of the design, the milling unit creates your porcelain crown in 15 to 20 minutes. The new crown is then bonded to the prepared tooth, and the process is complete. This method also removes the discomfort of temporaries, potential re-cementing, or additional numbing injections. Classic Porcelain Crowns or Modern CEREC® Crowns? As technological advancements are made in the dental field, patients are beginning to gravitate towards Chairside Economical Restoration of Esthetic Ceramics (CEREC®) procedures for same-day crowns to resolve dental issues such as gaps in teeth, discoloration, cracks, and other damages quickly and efficiently. CEREC® technology is rapidly gaining popularity, as the results are natural looking and long lasting. While patients seeking a stronger material than ceramic can still choose traditional porcelain crowns and veneers, it is a good idea to educate yourself on your options to decide which process will be better for your ideal smile. Your smile is unique and can dramatically change your appearance. 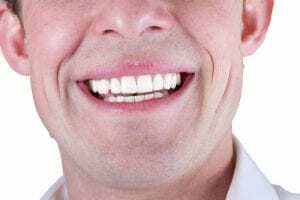 While traditional crowns are still a viable option for many patients, if you are seeking a solution that will closely match your natural teeth, then same-day crowns may be your best option. Traditional crowns are created by taking a mold of the teeth, which is then sent to a lab for processing. Creation of your crown can take up to three weeks to complete, so a temporary crown is used in the meantime. The new crown can be made from different materials, such as porcelain, ceramic, resin-composite and zirconia. CEREC® crowns utilize advanced dental and computer technology to take a digital impression of teeth, rather than the messy, uncomfortable mold, within a matter of minutes. Digital images are sent to the computer-aided design/computer-aided manufacturing (CAD/CAM), and the milling unit creates your new crown using ceramic and ceramic-reinforced materials. The entire process takes approximately two hours total, and a follow-up visit is usually not required. 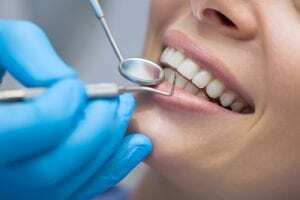 If you are seeking a convenient procedure that will not require more than one appointment in most cases, this may be the best option for your dental needs. Patients seeking an expedient dental experience and natural and immediate results without an awkward temporary crown often select same-day crowns, as they are completed rapidly and accurately. An added benefit of the CEREC® technique includes being able to avoid additional numbing injections, as these are only required during your initial visit, except in cases where adjustments to your bite are required. Having a bright smile that you can be proud to show off is an excellent confidence booster, and can positively affect your daily life. Regardless of the process you select, our team is dedicated to providing the most current options available to help you achieve your dental goals. To learn more regarding porcelain crowns and how technology has advanced through the CEREC® method, please contact our office by calling (951) 686-3666 to schedule a consultation today! 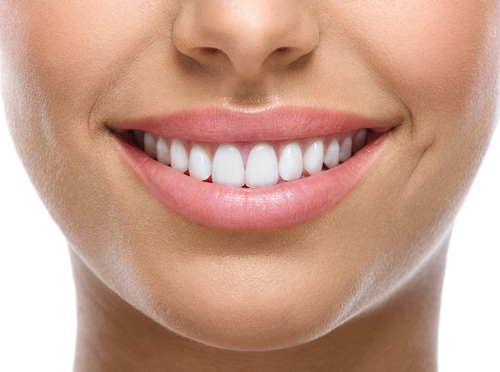 One of the most significant concerns people have about their teeth is how their smile looks. Over time, teeth can become discolored or damaged. Many patients also experience tooth loss as a result of decay or dental trauma. Fortunately, you can enhance the appearance and functionality of your teeth with a customized smile makeover. Dr. Chad Tomazin performs various smile makeover treatments and procedures that can revitalize your smile and boost your self-confidence. Porcelain Veneers: These long-lasting restorations are permanently attached to the teeth to improve their appearance. Porcelain veneers are appropriate for patients who have misaligned, broken, or stained teeth. Teeth Whitening: Patients who struggle with discolored or stained teeth can benefit from teeth whitening services. Dr. Tomazin offers several options to brighten your teeth, including both at-home whitening and in-office whitening procedures. Dental Bonding: This approach is ideal for those who have minor cosmetic imperfections, such as chipped, cracked, or gapped teeth. Dental bonding corrects these concerns and restores the teeth to a more attractive condition. Dental Implants: These restorations offer a permanent solution to missing teeth. Dental implants help preserve the integrity of the bone and are designed to match the surrounding teeth. Going to the dentist regularly for checkups and cleanings can help maintain your results. During a general dentistry appointment, your dentist will examine your teeth and any restorations for signs of gum disease, tooth decay, and oral cancers. Most patients are advised to schedule a visit with their dentist at least once every six months. However, those who suffer from periodontal disease may need more frequent visits, which may involve one of our hygiene and ozone periodontal therapy programs. If you would like more information about how to revitalize your smile or to schedule an appointment with Dr. Chad Tomazin, please call 951.686.3666. Unfortunately, many individuals have one or more teeth removed at some point in their lifetime. Whether it be from a crack, fracture, decay, or root trauma, losing a tooth can be detrimental to a person’s self-confidence and the functionality of their teeth. Many dentists believe that dental implants are the best choice for replacing a missing tooth. A dental implant consists of a single titanium screw, which is made specifically for the bone to integrate into. The bone in the jaw “grows” into and around the titanium screw, providing an anchor for the false tooth (crown) to be placed. This advanced treatment is the only known procedure to stimulate bone growth surrounding the adjacent tissues effectively. Additionally, the implant itself provides the chewing system with stability and durability. To determine if you are a candidate for dental implants, you will need to schedule a consultation with a dentist who has plenty of experience performing the procedure. Dr. Chad Tomazin first checks the integrity of the bone structure where the implant is going to be placed. This can be done by examining the bite and alignment in addition to taking X-rays and photographs of the area. A dental impression is also made so that a customized crown can be created. In some instances, a computed tomography (CT) scan is necessary to confirm the level of the existing bone. Bone Graft: For a dental implant to be successful, there must be sufficient bone present to anchor the restoration. 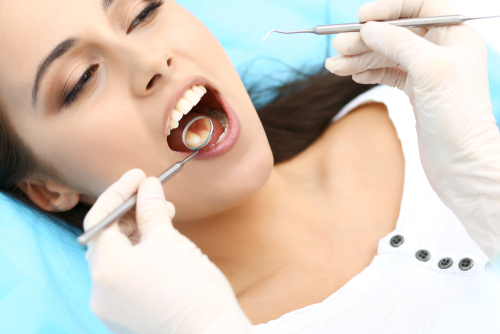 Usually, when a tooth is removed, over 50 percent of the bone is lost at the extraction site. In cases like this, additional bone must be placed before a dental implant procedure. If bone placement is required, antibiotics and anti-inflammatory medication should be prescribed to aid in recovery. It can take between three and six months for the new bone to graft, at which point X-rays are taken to ensure it is strong enough for dental implant placement. Implant Placement: The placement of the dental implant is crucial for a successful result. After the treatment area has been anesthetized, a small hole is drilled into the jaw bone. This hole is slowly widened to prevent the destruction of the jaw bone surrounding the implant site. The dental implant is then placed, and the surrounding gum tissue is secured over the implant along with a protective cover screw. Crown Placement: Before a permanent crown is attached to the implant, the bone must integrate with the titanium screw, which can take anywhere from three to six months. A temporary crown can be placed in cases where the implant placement is in the front of the mouth. After your dental implant procedure, you may experience some swelling and pain. However, most individuals who undergo the procedure report having minimal discomfort and swelling in the treated area. Over-the-counter medication and cold compresses can help alleviate these side effects. Prescription pain medication can also be prescribed, if necessary. During the week following your dental implant placement, it is best to consume a diet of soft foods and rinse the mouth after eating. Your dentist will likely schedule a series of follow-up appointments to evaluate the healing process. When taken care of properly, a dental implant can last for more than 40 years! Proper at-home dental hygiene is critical to the success of the implant. The number one cause of dental implant failure is lack of flossing the area followed by lack of brushing the area. If plaque is not removed from the implant site, an infection can develop. Cleaning the dental implant as you would your natural teeth will ensure the best outcome. 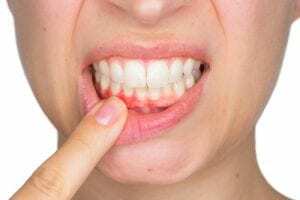 If you have a heavy bite or habit of clenching or grinding, a nightguard is necessary. Although titanium is a durable metal, an uneven load or heavy wear on the implant is not ideal. The bite guard is a clear wafer-like appliance that patients wear at night to ease the pressure on the natural teeth and dental implant. This device helps to ensure the longevity of your dental implant. To find out if you are a candidate for dental implants, please contact the office of Dr. Chad Tomazin by calling 951.686.3666.